Tank model for bonding. Size: 1:72; 13.8 cm. Packaging includes: 113 stickers. 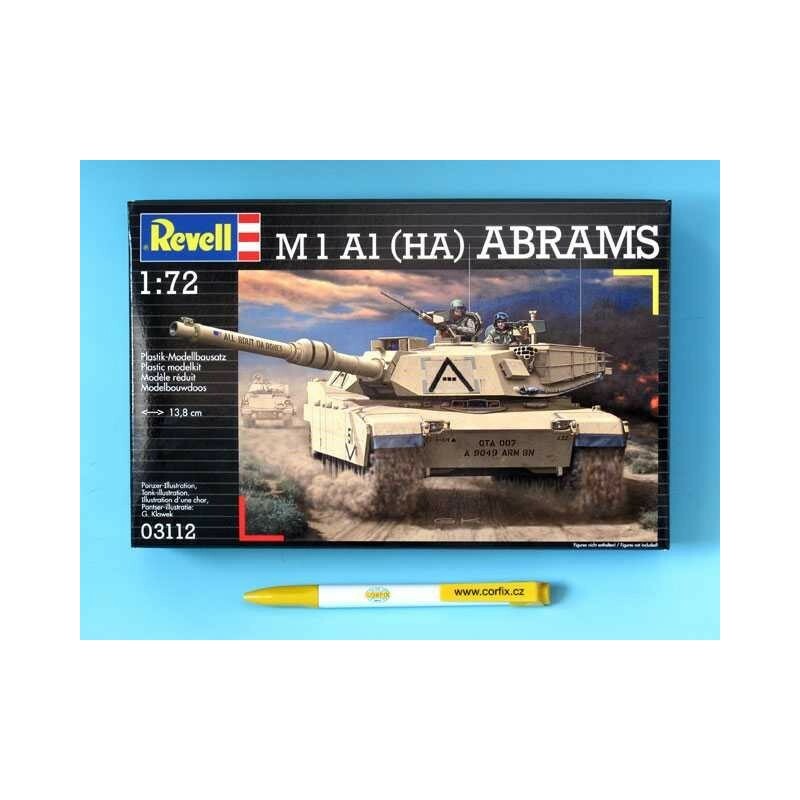 M 1 A1 (heavily armored) "Abrams" is currently the most modern standard American tank. It is protected by a laminated armor, and reinforced armor on the front of the shooting tower and other critical locations also contains depleted uranium. 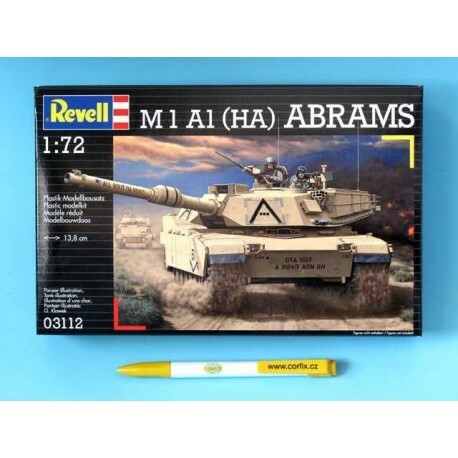 In this form, "Abrams" was used in Desert Storm operation and currently the tank is being used by American armed forces for example in Europe. M 1 A 1 is powered by an 1500-horsepower AGT 1500 gas turbine and reaches a top speed of 66 km / h. The four-member crew has a 120 mm cannon with a smooth bore barrel and a 7.62 mm caliber knee gun for artillery battles. In addition, anti-aircraft cannons of 12,7 mm and 7,62 mm can be used.